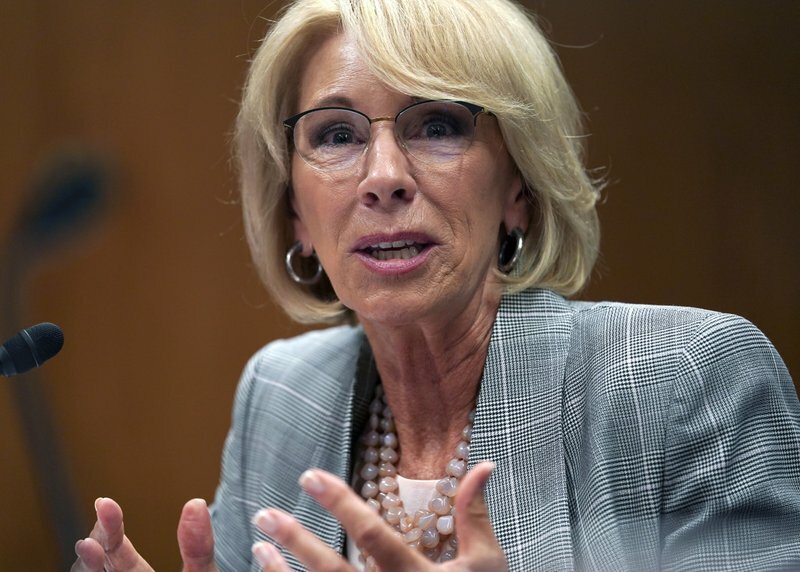 U.S. District Judge Randolph Moss ruled Wednesday in a lawsuit challenging the delay that had been filed by Democratic attorneys general from 19 states and the District of Columbia and former students, finding that DeVos’ actions were unlawful. But Moss found inconsistencies in DeVos’ rationale for freezing the rule. “When an agency decides to delay the effective date of a rule to save the federal government money or to alleviate confusion or a burden on regulated parties while the agency decides whether to amend or to rescind the rule, its action is ‘designed to implement … policy,’” Moss wrote in his decision . He said DeVos acted without conducting a rulemaking process on whether to postpone the rules. Moss scheduled a hearing Friday to consider next steps. Department spokeswoman Liz Hill said the agency was reviewing the ruling. “It’s a really big deal, it’s an incredibly important win for student borrowers and really for anyone who cares about having a government that operates under the rule of law as opposed to as a pawn of industry,” Merrill said. After two decades to rapid growth, the for-profit college industry was shaken by the implosion of two major chains of schools that misled students with promises they couldn’t keep and left them with large amount of debt they couldn’t pay. The Obama administration went hard after the sector, issuing regulations meant to increase student protections and police the schools. In trying to delay the borrower defense rule, Devos said the regulations were too broad and allowed for potential abuse on the part of students. She vowed to create a new system that would be more efficient and fair.